LEGALIZATION OF DOCUMENTS IN THE UAE. It is a well known fact that the UAE has not joined to the Treaty of Apostille (The Hague Convention from 5 October 1961), which eliminates the need of consular certification. All documents to be officially certified, must go through the full legalization through the Ministry of Foreign Affairs of the United Arab Emirates and the embassy / consulate of the country of origin of the document (for use in the Emirates) or the embassy / consulate of the country in which the documents are to be used (documents issued in the UAE). Legalization of documents issued in the UAE, for use outside of the Emirates. 3. Document and translation shall be certified by the Ministry of Foreign Affairs of the United Arab Emirates. In many ways, the initial steps of the legalization depend on the authorilty which had registered the legal entity or other governmental instances. So the initial stage of the documents legalization in mane cases starts with attestation by the regulatory authority, such as free zone administration, Chamber of Commerce, Notary Public et cetera. A TRUE COPY of the document of Free zone onshore companies is issued by the Registration Division of the respective Free Zone. A TRUE COPY of the document of the Companies with a local partner (LLC) is issued by the Department of Economic Development or by a Notary Public. 2. Certification of TRUE copies of the document in the Ministry of Foreign Affairs of the UAE. 3. Certification of TRUE copies in the Consulate of the country of destination. The legalization of foreign documents to be used in the UAE. 2. Legalized (notarized) translation into English or Arabic, if the document is issued in another language. 3. Certification of the Ministry of Justice (for some countries). For UK and British territories (BVI, Jersey, Guernsey, etc.) this part of legalization is done by Foreign and Commonwealth Office (FCO) in London. In case of legalization of education certificates, it is neseccary to otain the certification from the Ministry of Justice and after, the document must undergo the legalization by the Ministry of Education. 2. 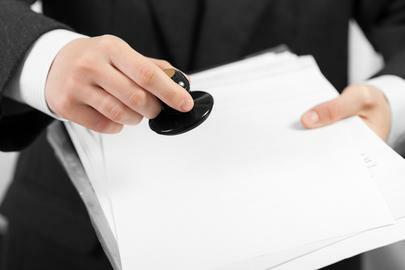 Legalized (notarized) translation into English or Arabic, if the document is issued in any other language. 3.Certification of the Ministry of Justice (for some countries). For UK and British territories (BVI, Jersey, Guernsey, etc.) this part of legalization is done by Foreign and Commonwealth Office (FCO) in London. 4. Certification of the Ministry of Foreign Affairs in the country of origin of the document. 5. Certification in UAE Consulate in the country of origin of the document. If there is a need for a translation from Arabic into English, it can be done after the attestation of certified copies. If you need an additional translation into any language other than Arabic or English, it can be done before the consular certification. In most of the cases, the cost of legalization on corporate documents is higher that the cost of personal documents. Each case is quoted differently depending on the needs and the related country's consular fees. Do not hesitate to contact us and to find out the quote.